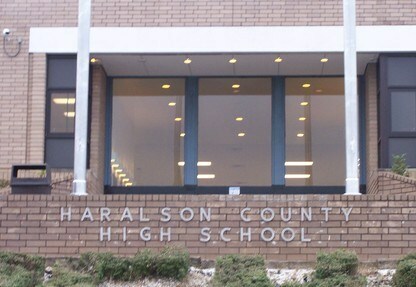 When Mr. Madison Sanders' term of office as superintendent of Haralson County began in 1953, the administration realized the urgent need for better educational opportunities and vocational training in Haralson County. In 1965, a million dollar application was submitted to the state for approval to build a new high school in Haralson County. The school was opened in the fall of 1970. It had 55 courses, along with 615 students, and 25 teachers. To inspire students to do their best in achieving a quality education, to spare no effort in providing a quality learning atmosphere for every student, and to graduation responsible and productive citizens. Haralson County Schools will be recognized as a leader in improving student achievement for all students. Building relationships is key to achieving academic success. The health, safety, and welfare of all students and employees are prerequisites to student success. All students deserve to be held to high expectations that reflect individual objectives. Every person, student and teacher, deserves to be treated with respect. Effective communication is essential for all stakeholders. Students must be taught academic and life skills including technology to succeed in an ever changing world. School experience should be relevant practice for adulthood. Regular attendance is fundamental to learning.